Wait in line for M855? Nah, I make my own. I picked up the ammunition reloading bug about fifteen years ago — most likely by touching a copy of the Lyman Reloading Handbook at a local gun show. Who knows where that book was before I touched it? No wonder I caught a bug, always wash your hands people! Since that day, I’ve reloaded billions and billions of rounds of rifle and pistol ammunition. Well, maybe not billions, but certainly enough to cause two-thirds of the members of Congress to scamper off to their therapist’s office or the nearest oxygen bar. What do I have to show for it? A family of very good shooters. They should be, as they collectively consume my reloaded ammunition faster than the space shuttle main engine burns liquid hydrogen. A garage full of lead, brass, and millions of cartridges in various states of construction or deconstruction. Critically important experience that will come in handy when the Apocalypse comes and ammunition reloaders are treated like 13th-century sorcerers. Call me Merlin, bring me a fresh possum or two, and I just might share some ammo. Total relaxation. For me, reloading is an enjoyable hobby. After a rough day, there’s nothing more soothing than assembling a batch of 6.8 Remington SPC or perhaps some lead bullet cartridges for my Springfield 1903A3. Boom. Reloading is a great hobby if you’re cut out to enjoy that sort of thing. Yes, you can save money, but the real fun is the process and the satisfaction of being able to create the perfect ammunition for any of your firearms. With that in mind, I came up with a list of reasons you might want to consider reloading your own ammunition. It’s a way to relax after watching the NBC Nightly News. 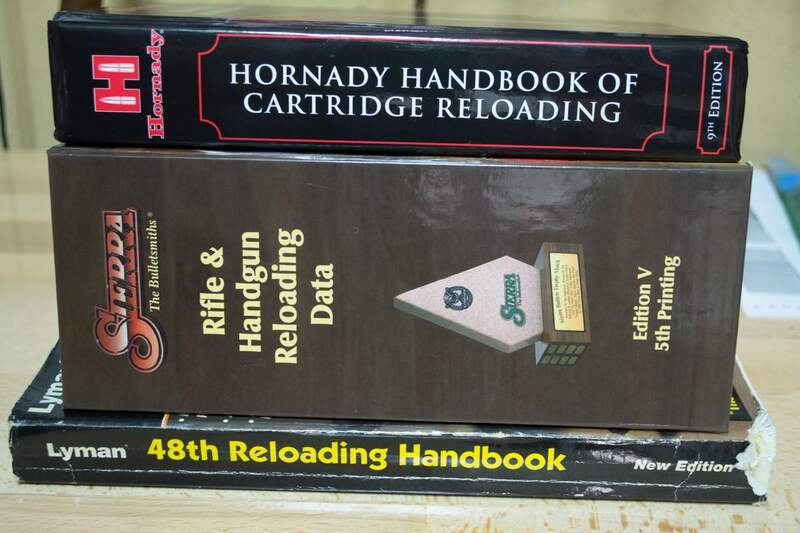 What better way to relax than digging into a pile of reloading manuals? I do find it amusing, that with all the “FAUX News” jokes, it seems to be NBC that keeps getting busted for actually fabricating news. Brian Williams fairy tales aside, they’re the ones who got caught doctoring George Zimmerman video and audio, and If I remember correctly, they’re also the news team who rigged General Motors side-saddle gas tanks to explode to make their Dateline expose more “enlightening.” But that’s beside the point. Trying to figure out if the news is real or not is a stressful endeavor. What better way to relax than to reload some ammo? Who knows, maybe it will inspire you to shoot an old TV set to pieces. You can customize your ammo. In the movies, custom ammo is kind of cool. In The Man with the Golden Gun, Scaramanga uses custom gold bullets. In the real world, custom ammo is more practical. Want less recoil in your competition pistol? No problem! Want to get your bolt-action rifle to shoot one half inch groups at 100 yards? No problem, assuming your rifle is up to the task. Want to hunt with ammunition you made yourself? Got that covered! Want to make light-recoil and inexpensive plinking loads for your old battle rifle? Piece of cake.